This model was manufactured from 1966 to 1969. This plastic-bodied monstrosity bears no resemblance to the earlier Retinas. The nicest thing I can say about it is that it is well-made. The camera was fitted with a 45mm f/2.8 Reomar lens in a Kodak shutter, and can use flash cubes or electronic flash. The camera has neither exposure meter nor rangefinder. 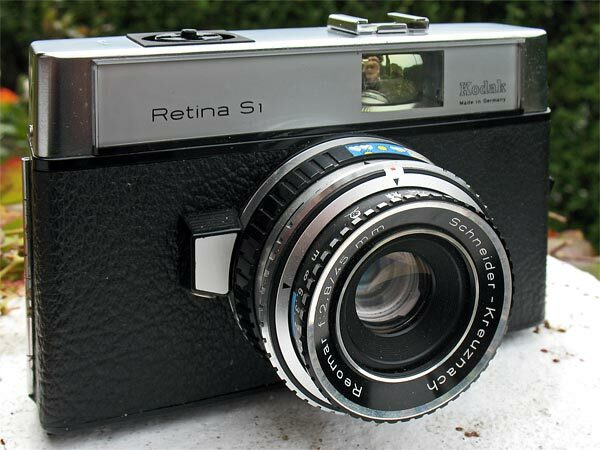 Retina S1 instruction manual on Mike Butkus' excellent website.